The Maison Louis Jadot has more than 150 hectares of vineyards in the fabled Burgundy region of France, covering all the major appellations. It is reported that in the US, one out of four bottles out of the Burgundy region wears the Jadot label. There are over 150 different wines produced. ‘Big is beautiful’, says Nicolas Dewe, the Export Manager for the 150 year old winery. It is an amazing feat first to produce this many wines, but the consistency of the Jadot portfolio given its enormous production and holdings, is just incredible and justly admirable. Their top tier wines are serious wines that consistently showing off the terroirs of each specific region. 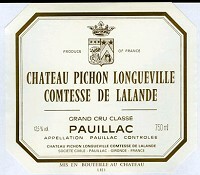 In great years, the Premier Cru and Grand Cru’s are highly sought after. deVine’s first Top Drops of the fall season will feature Nicolas Dewe, who travels the world promoting Maison Louis Jadot. Our special evening will focus on Red Burgundies, home of some of the best Pinot Noirs grown in the entire world. We will sample a wide range of wines from different appellations, tasting only Premier Cru and Grand Cru’s from both the Cote de Beaune and Cote de Nuits regions, focusing on the two most recent great vintages of 2005 and 2002. The deadline for deVine’s 2009 Bordeaux Futures program is fast approaching. Purchasing ends this Sunday, July 18 at 6pm. Please have your selections and 75% downpayment in to us by then. The remaining 25% will be due on arrival of the wines in mid to late 2012. This campaign has been a most interesting one with buying occuring at every price point. Some of the wines have sold out and it did not make sense to go back for second and third tranche prices, which are extremely expensive. While there are bargains at the Petit Chateaux and Cru Bourgeois levels and worth buying by the case, it is a different story for the highest scoring (95+ points) wines which are the most expensive ever, even with the strong Canadian dollar versus the up and down Euro. Wines are actually 25-40% higher than the great 2005’s. 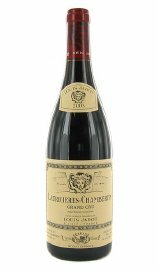 With careful chosing, some Grand Cru Classe wines were released at reasonable prices and we bought these and sold them just as quickly. I have designated a countdown system for selections which are down to their last twelve bottles, so if you are interested in those wines, please purchase immediately to avoid disappointment. My advice is to buy all you could afford. With judicious selection, we have picked out what we consider as the pick of the litter for various price points. Despite my gripe regarding the superstars, 2009 is a great vintage in Bordeaux, and given its proven track record for aging, it is the foundation of most serious wine cellars – you will be glad you have them in ten years time. If you have any questions, or wish to speak to us about a particular chateaux, then please drop in to the store or make an appointment or an email, and we will gladly help you out in your decision making. deVine’s 2009 Bordeaux Futures program is now complete. With over 60 wines offered, it is our biggest selection ever. Wines from $25 up to $650 offer something for every budget. While there are bargains at the Petit Chateaux and Cru Bourgeois levels and worth buying by the case, it is a different story for the highest scoring (95+ points) wines which are the most expensive ever, even with the strong Canadian dollar versus the up and down Euro. Wines are actually 25-40% higher than the great 2005’s. With careful chosing, some Grand Cru Classe wines were released at reasonable prices and we bought these and sold them just as quickly. I have designated a countdown system for selections which are down to their last twelve bottles, so if you are interested in those wines, please purchase immediately to avoid disappointment. We will not be going back anymore to purchase the same offerings in 2nd and 3rd tranche higher prices. Due to the length of the En Primeur program, we have extended our buying deadline to Sunday, July 18 at 6pm. As usual, we require 75% of the total by that date with the remaining 25% due in mid to late 2012 when the wines arrive. It is very clear where Bordeaux is heading with the pricing of this campaign. In great vintages, Classified Growths and highly rated Right Banks are now viable to only the rich with deep pockets – it is a commodity market of supply and demand. The Bordelais are going to charge crazy prices for these great vintages, and the wine world can take it or leave it. Consider that the First Growth Chateau Lafite sold for $1200/bottle Cdn retail on the first tranche, then went to $2000 Cdn, and now the third tranche is $2600/bottle and amazingly the world is still buying. 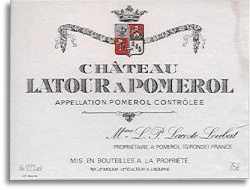 We can bulk (and we did) at these prices, but the next great vintage of Lafite will be even more than that (and we have witness first hand this price progression with the 2000, 2003, 2005 and now 2009’s). All this makes Napa Valley wines seem like a bargain – c’est la vie.